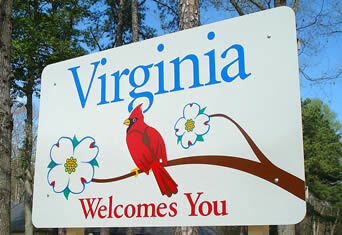 Virginia is rolling out the welcome mat for homeowners who want to install energy-efficient replacment windows. The state's rebate program makes it a good time to upgrade. If you live anywhere in the state of Virginia, it's a great time to upgrade your home with energy-efficient replacement windows. That's because the state is now offering Virginia residents significant rebates on the cost of installing replacement windows. The rebate is on top of reduced utility bills you will enjoy by replacing your old windows. The current program began in June of 2011 and the rebates will be granted on a first-come, first-served basis until the funding runs out. You can get a rebate of 20% of the cost of installing replacement windows, up to a maximum of $595. The state says it chose that amount to keep it under the federal income tax reporting threshold of $600 and avoid concerns about having to pay tax on the rebate. Virginia's replacement window rebate program has some of the most consumer-friendly rules we've seen. Unlike many other window rebate programs, the state of Virginia does not require you to get an energy audit to take advantage of the savings. Another place Virginia's program shines is in what it covers. Many other programs only offer a rebate on the actual cost of the windows. However, the Virginia program also applies to labor, installation, taxes and delivery in addition to the cost of the windows. You do need to follow some basic rules to qualify for the rebate. The rebate is available only to Virginia homeowners (not to businesses) who buy new windows on or after March 26, 2010. You have to buy the window from a Virginia-based retailer who is licensed in the commonwealth. Also note that if you do the installation yourself, you can't get a rebate on your own labor, but you can still get a rebate on the cost of the windows. The windows must have a U-factor and Solar Heat Gain Coefficient of 0.30 or less. You can find these numbers on the NFRC label on the windows. To get a free, no-obligation estimate from a licensed Virginia replacement window contractor, just fill out the form below. Be sure to ask the contractor about the rebate reservation process.